Today I run into a strange error where I was not able anymore to create new VMs with virt-manager: I always got an input/output error when I tried to start the machine after installation. A look into /var/log/syslog showed quite some errors on the dm-device – note that my VMs disks usually are on logical volumes. Sep 12 15:27:55 example kernel: [19298.163712] device-mapper: snapshots: Invalidating snapshot: Unable to allocate exception. FRANKFURT, IAA Cars International Motor Show, September 12, 2013 QNX Software Systems Limited, a global leader in software platforms for in-car electronics, today announced that Mercedes-Benz has selected the QNX CAR platform to power the infotainment system in the Mercedes-Benz Concept S-Class Coup, an exciting new concept vehicle created to showcase Mercedes-Benz latest advancements in user experiences for the car. The concept cars infotainment system brings the Mercedes-Benz design philosophy to life with a fresh and refined approach to the all-digital instrument cluster and head unit. The digital dials are functional yet sensual in the use of 3D and light, complementing the new interior. The use of particle effects conveys a sense of emotion to the head units main menu and mood-based selection of music, while the new Garmin map strikes a balance between form and function so that you arrive in style. Добавлена поддержка чипов bcm43142 и bcm4352. Finally, Amarok 2 has been released. 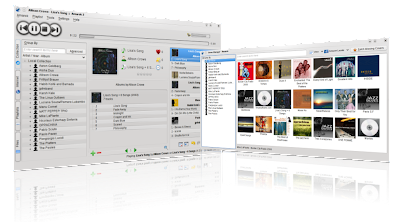 The 1.x series were the champions on music management (on BSD and Linux) and playing during KDE 3.x time. Actually, it was preferred on all desktop environments, shells or plain windows managers. KDE 4 meant (and means) an enormous refactoring of basely all KDE. Amarok developers decided that was the moment for a new GUI (Graphical User Interface). At first users, seemed to be happy about it (they were they beloved Amarok creators), however, as time passed they truly started hating the new interface, some adapted, other are still using Amarok 1.4.x, and the majority, completely migrate to another application. Команда Humble Bundle рада представить пользователям очередной выпуск акции, в этот раз зовущаяся Humble Indie Bundle 9! Начиная с прошлой недели GNU Compiler Collection (GCC) больше не собирается по умолчанию как часть базовой системы FreeBSD 10. Известно, что на протяжении нескольких месяцев разработчики FreeBSD, а также пользователи BSD-семейства, добивались перехода на LLVM/Clang и ограничения роли GCC. Функциональные возможности Clang в качестве компиллятора C/C++ достигли уровня GCC, а распространение под лицензией BSD делает его более привлекательным для разработчиков системы. Кроме того, показатели эффективности LLVM продолжает расти: это и более быстрая компилляция, и меньший расход памяти. For those interested in the progress of KDE Frameworks 5 and Plasma 2, I’ve recorded a demo video which shows a few aspects of the current state of development of the upcoming version of your favourite Desktop. The demo video shows the new Plasma shell running, including a panel with the task manager. It shows a demo applet doing some OpenGL tricks. The Kwin window manager and compositor is running in its Qt5 / Frameworks 5 incarnation, and there’s konsole, which has also already been ported to Frameworks 5. Of course, all the usual warnings apply: This is a very early state of development, many things are missing, unstable or do not perform well yet. There’s also a fair bit of user interface cleanup and streamlining to be expected. We released the first stable version of plasma-nm today, but that was not the only thing I was working on during the last (3) months. I was working on my GSoC project and because GSoC almost ends I would like to show you my results. My GSoC project has two parts, the first part is network applet optimized for Plasma active and the second is active settings for configuring network connections. The first idea was to have two versions of plasma-nm applet, one version for desktop and one for plasma active, but we had a session/discussion at the Akademy with Thomas and Bjorn and we came up with the perfect design which is suitable for both parties. 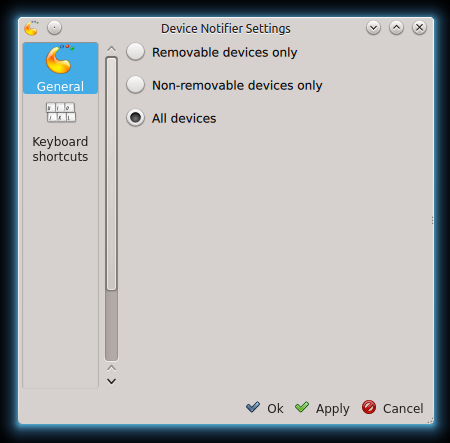 No additional changes are needed to make the applet easily usable on Plasma active. Medibuntu the archive with libdvdcss and a number of other package which couldn't be put into the official Ubuntu archive is to disappear. Команда проекта OpenMW рада представить очередной релиз движка под номером 0.26.0, вышедший 11 сентября! Разработчики гордятся релизом, ведь они наконец-то реализовали рукопашную схватку, ликантропию и возможность умереть, утонув. OpenMW — это свободный движок с открытыми исходными кодами, позволяющий запускать на Linux, Windows и OS X известную компьютерную игру The Elder Scrolls 3: Morrowind, включая как официальные плагины Tribunal и Bloodmoon, так и модификации от сообщества. Работа ещё далека от завершения, а нынешние результаты пока не позволяют полноценно играть. Движок принесёт не только те исправления в код игры, которые не сделала в своё время Bethesda, но и новые отключаемые возможности вроде последних шейдеров или динамического света. As a part of SoK project, I am currently porting device notifier applet to Plasma2. Device notifier applet was already ported to QML by Viranch Mehta so it was somewhat easy task for me. In a Plasma2 port first task is to change versions of imports and some other modifications. Result was awesome, I got Device Notifier applet in working stage. After that I ported config.ui file to config.qml because in Plasma 2 config.ui files are no longer used. To port config.ui files you can have a look at the code given in plasma-framework/examples/applets/conditionalloader. As a sidenote all example DataEngines in the plasma-framework/examples/dataengines are now ported to use KF5. Here is a configuration dialog which is ported to QML. 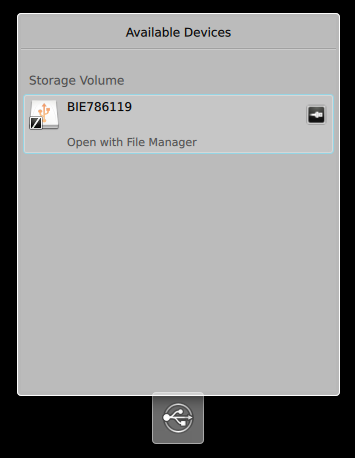 But currently other options like Device actions, Removable devices are still missing. После двух лет тихой, незаметной и неторопливой (очень) разработки вышел первый релиз Antares. Antares — это открытая и свободная (GPLv2) реализация системы сборки и набор библиотечного кода, ориентированные на разработку под «голое железо». На сайте проекта KDE объявлено о принятии объявленных ранее изменений в подготовке релизов в рамках перехода к KDE Frameworks 5. Вместо одновременного выпуска новых версий всех компонентов окружения будут отдельно формироваться релизы для библиотек (KDE Frameworks), приложений (KDE Applications) и оболочки рабочего стола (KDE Workspaces). Данные релизы будут иметь независимый цикл разработки. По мнению разработчиков, это позволит сделать цикл разработки оптимальным. Первый предварительный выпуск KDE Frameworks 5 планируется уже 1 декабря 2013 года, а релиз намечен на первую половину 2014 года. Первый тестовый выпуск окружения рабочего стола KDE Workspaces 2 планируется в первом квартале 2014 года, а релиз - во втором квартале 2014 года. Приложения будут портироваться постепенно, одновременно сохраняя возможность работы в окружении KDE 4. 18 декабря выйдет отдельный выпуск KDE Applications 4.12, содержащий только обновлённые версии приложений. Выпуск KDE Applications 4.13 намечен с апреля по июнь 2014 года. Подготовку KDE Applications 5 планируется начать после готовности KDE Frameworks 5 и KDE Workspaces 2. Just a reminder we still have sponsored tickets available for Qt Dev Days in Berlin in October, and a limited amount of travel and accommodation sponsorship to help you get there. See my previous blog for details. KDE PIM Autumn sprint, please register! the ideal time for the next PIM sprint. So that is official now. November 15 – 17 is set. that’s where the sprint is going to take place. costs before October the 1st of 2013.
discuss) at the sprint on this  wiki page. David <d@dav1d.de> сообщил о разработке поддерживающего язык программирования D плагина автодополнения «Lumen» для компоненты KTextEditor. Компонента использует сервер автодополнения DCD. Nokia used to produce some excellent smartphone hardware. If you’re happy to own a N900, there’s an upgrade to Marble 1.5 on its way that brings some fresh life to good old Maemo. It’s in extras-testing now and should appear in extras soon. Kudos to Bernhard who took over maintainership of the Maemo version and worked hard to make this release possible. As reported on Slashdot Commercial Support is available again for Kubuntu . If you or your organisation needs help with your computer systems running Kubuntu but you don't want to worry about the best IRC channel to ask in you can pay some money and phone up the office in England to get some help. Game Dev Tycoon, который на днях выходит в Steam (старым покупателям уже рассылают ключики), неожиданно получил также и версию под онтопик, в виде deb, rpm и tar.gz пакетов под i386 и x86_64 архитектуры. Сегодня разработчики из Digia сообщили о выходе корректирующего релиза кроссплатформенного фреймворка Qt 5.1.1, релиза среды разработки QtCreator 2.8.1 и релиза комплекта утилит для создания инсталляторов Qt Installer Framework. >>> Подробности о QtCreator и Qt Installer Framework. It has been a long time since my last blog post, but that doesn’t mean nothing new has happened. In addition to fine-tuning the new Nepomuk Query Parser, I also try to write a Konqueror plugin that detects emails on common webmails and that index them in Nepomuk. At the beginning of August, the query parser was already in quite a good shape. It was able to parse many queries in English, and I translated it into French the check that everything goes well. The first thing I discovered is that even if the translation operation was easy, it could be even better. The problem was that the pattern matcher syntax was not adapted to languages with rich “declination”. In English, adjectives are always spelled the same, independently of the words around them. In French, adjectives can have four forms, as they have a genre (English people always find funny that “A car is a lady in French”), and a number (the singular form is different from the plural one). 28 августа Brian Nguyen, инженер компании NVIDIA, представил в списке рассылки freedesktop.org libglvnd — средство для разделения различных реализаций OpenGL в среде GNU/Linux. Напомню, что в настоящий момент стандартным интерфейсом OpenGL является файл libGL.so.1, который, как правило, является ссылкой на ту или иную библиотеку, предоставляющую функции OpenGL, в зависимости от используемой реализации: Mesa, проприетарные драйверы NVIDIA и AMD и т.д.. Данный подход осложняет использование нескольких драйверов на одной машине,— в частности, на системах с гибридной графикой. Опубликованный Brian Nguyen инструментарий представляет собой программный диспетчер, осуществляющий перенаправление команд от 3D-приложения к той или иной реализации OpenGL, тем самым позволяя нескольким видео-драйверам сосуществовать, не мешая работе друг-друга. OTTAWA, August 28, 2013 QNX Software Systems Limited, a global leader in software platforms for in-car electronics, today announced that Garmin International has selected the QNX CAR platform to power the new Garmin K2 platform, the companys next-generation infotainment solution for automotive OEMs. K2s capabilities include multiple digital displays, on- and off-board voice recognition, smartphone integration, and optional embedded 4G connectivity. The system provides drivers access to navigation, vehicle diagnostics, a variety of communications options, streaming media, and realtime information from the Web. K2 is a highly customizable platform with scalable specifications to meet a range of OEM needs and cost targets. Генерация: 0.395 сек. и 40 запросов к базе данных за 0.263 сек.